Taken Feb 28 2015. 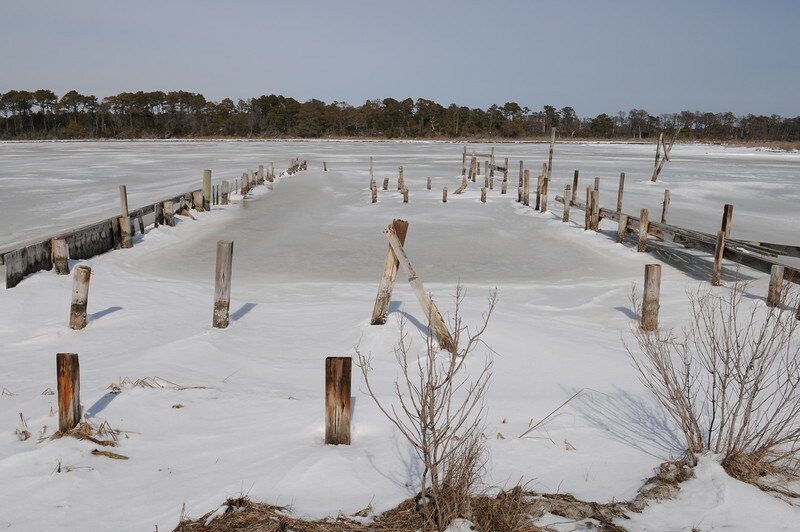 Remains of the dock pilings at Green Run 2. The oyster shack was washed ashore during "Sandy"